A passenger plane was forced to make an emergency landing in Sydney after one of its propellers fell off mid-flight. 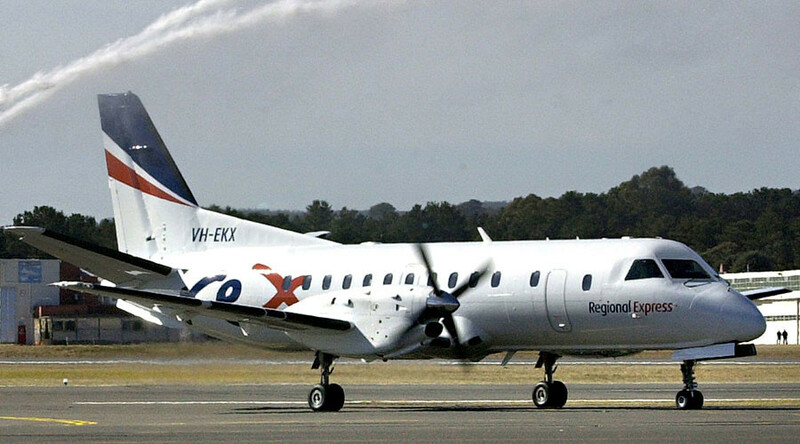 The Regional Express Saab 340 aircraft was flying from Albury in New South Wales on Friday with 16 passengers and three crew onboard when it lost its right-hand propeller at approximately 6,000ft (1,830 meters), reports ABC Australia. Air traffic control audio logs recount the moment the pilots discovered the missing propeller and declared a state of urgency, requesting an emergency landing at Sydney Airport some 10 nautical miles away. The pilots remained remarkably calm throughout the ordeal. "The prop has just fallen off the aircraft and standby for further instructions," the pilots calmly report to air traffic controllers. "We've got normal controls, still be able to fly would require one to six right and we should be able to conduct a precautionary landing." A search for the propeller is underway and an investigation into the incident has been launched by both the Australian Transport Safety Bureau and Regional Express, while the Civil Aviation Safety Authority has reportedly requested an urgent briefing. The missing propeller will play a key role in understanding what caused the dangerous fault. The Swedish-made Saab aircraft is just one of 55 that Australia’s largest independent regional airline operates.